MSU prof’s SXSW video now up! 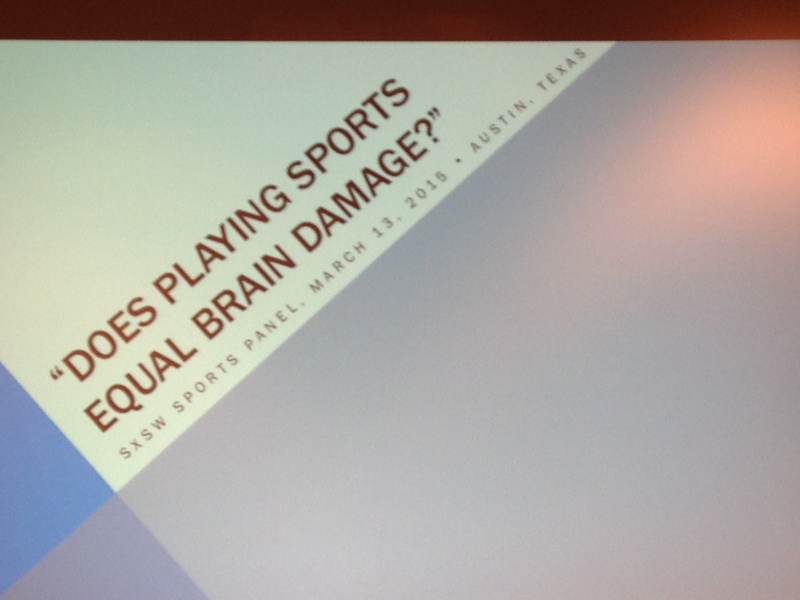 MSU sports journalism professor Joanne C. Gerstner was recently part of the South by Southwest festival, as a panelist on “Does sports equal brain damage?” with former NFL tight end Ben Utecht and sports neurologist Dr. Jeff Kutcher. She is an expert on sports concussions, with a book co-authored with Kutcher coming out at the end of 2015. Utecht won the Super Bowl in 2006, but had to retire early due to lingering significant post-concussive issues. With a nod to MSU JRN ’15 grad Alex Scharg, the video of their presentation is now up! Check it out. Previous Post CONGRATS TO GRADUATES…. Next Post Get MSU SPTS JRN on iTunes!